Detailed on Tuesday, Mass Effect Andromeda update 1.08 is now rolling out on PlayStation 4, Xbox One, and PC. To prepare for the new patch, servers will be down until 9am PT/12am ET, meaning multiplayer and Strike Teams will be unavailable. The biggest additions in 1.08 have to do with the character creator and male romance options for Scott Ryder. For the character creator, you’ll find two new heads (one male and one female), new complexion options, a greater range of skin tones, all hairstyles for both sexes unlocked, the ability to change your character’s appearance onboard the Tempest, and the ability to choose to keep the default Alec. You can read up on the combat balance updates in 1.08 over here, which include changes to weapon bloom and accuracy, melee, and more. 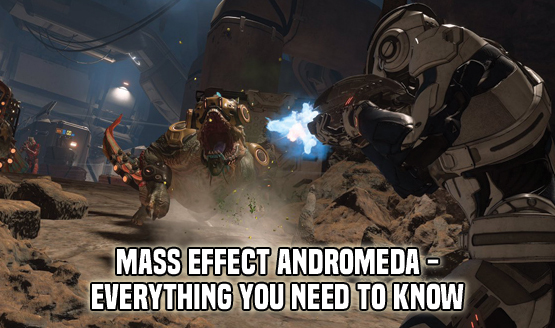 If a recent report is true, the Mass Effect series has been put on hold.